Mid-City hired Paul Lawson at the beginning of this year. 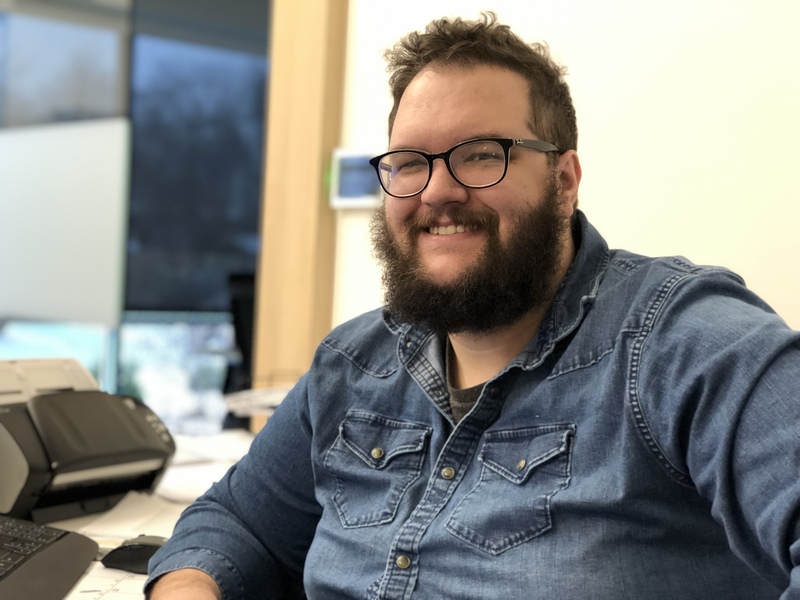 In his role as interdepartmental assistant, Paul assists many departments, including accounting, marketing, project management, and purchasing, throughout his day-to-day. A true people person, Paul is a 2012 graduate of Cincinnati Christian University with a Bachelor’s in Music. Prior to joining Mid-City, he spent the past seven years working in ministry, leading large teams of volunteers, planning events, and teaching. Below is some Q & A that we did with Paul to help you get to know him a little better. Q: What sparked your interest in construction or in your current role? I love working directly with people. I also love representing the vision of our company to new customers, and helping make everyone’s job easier. This role allows me to do all of that. Q: What will your role here at Mid-City be? I’ll be part of the front desk team and I’ll be helping with various projects in various departments on an administrative level. Q: From your point of view, what do you think is the most important aspect of customer service? I believe the most important elements of all customer service are up-front empathy and a clear understanding of customer needs. People just want to be known, heard, and have a high quality solution to their problem. Q: What’s something that your new coworkers probably don’t know about you? (like a fun fact!) Outside of work, I play guitar, dance to Baby Shark with my two-year-old son, and watch movies with my amazing wife. Are you interested in working for Mid-City too? Visit our employment page for open positions.